Nursery available at both services. We are located near the Ohio State campus at the corner of King and Neil. 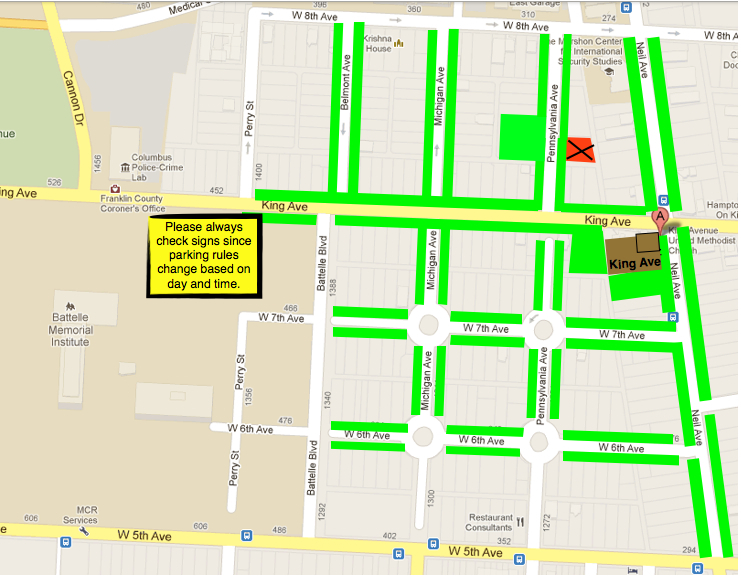 The bright green areas on the map below indicate parking locations for Sundays.